It’s so easy for propaganda to work and for dissent to be mocked. It can be difficult to differentiate what defines propaganda as opposed to other forms of persuasion. Propaganda tends to have a level of subjectivity or lack of partiality that allows for its sympathetic interpretation of merely ‘education’ or ‘information’ if it is ‘our side’ who does it, while carrying the negative connotations of the word ‘propaganda’ if it is ‘the other side’ that does it; basically, we understand it depending on whether it comes from Us or Them. In a book by Garth Jowett and Victoria O’Donnell, propaganda is defined as “the deliberate, systematic attempt to shape perceptions, manipulate cognitions, and direct behavior to achieve a response that furthers the desired intent of the propagandist.” In general, it is safe to say that propaganda can be considered a one-sided and biased informational message that appeals to the emotions rather than the intellect. Traditionally, most forms of propaganda have appeared as some form of print media, such as posters, pamphlets, newspapers, etc, while the growth of technology has facilitated its use into radio broadcasts, television, film, and internet. Another aspect to keep in mind is the similarity between propaganda and advertising. There are a number of problems with propaganda prima facie, but I will contend that its right to exist is not one of them. Since propaganda is subjective, it cannot legally or practically be separated from the right to engage in free and open speech. Problems arise only when propaganda incites violence or hatred, or when the means of propaganda becomes concentrated in too few hands, so that free speech and discussion is subverted. 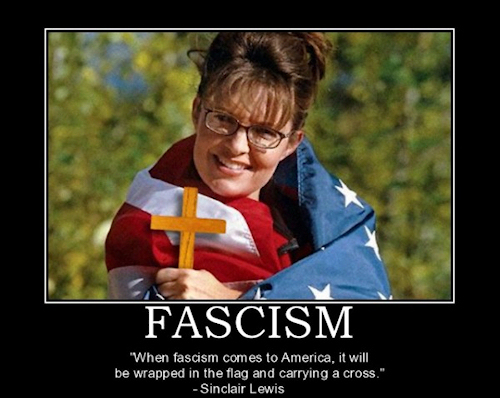 Both of these characteristics lead inexorably towards a totalitarian state, as can be seen in Communism/Stalinism and Fascism/Corporatism (according to Mussolini, “Fascism should more properly be called Corporatism because it is the merger of state and corporate power”). Therefore, all speech inciting hatred/violence/intolerance must not be tolerated (as I discussed in a previous post called Karl Popper and the Paradox of Tolerance). Even more importantly, perhaps, there should be a highly diverse, independent, and critical media. This latter point is important because the influence of propaganda can only be mitigated when there is ample information available in an open marketplace of ideas that can challenge the monopolization of propaganda by any particular interest group. According to a 2012 study by Freedom House, roughly one third of countries have a Free Press, one third Partly Free, and one third Not Free. Today in China, for example, all media is state-controlled and the internet is censored (and this in a country of 1.4 Billion). In Russia, the media is heavily controlled and intimidated by the de facto single party. In America, while the situation is obviously not so grave (the USA is ranked 22nd out of 197 countries in press freedom), there have been some rather disquieting trends, however. 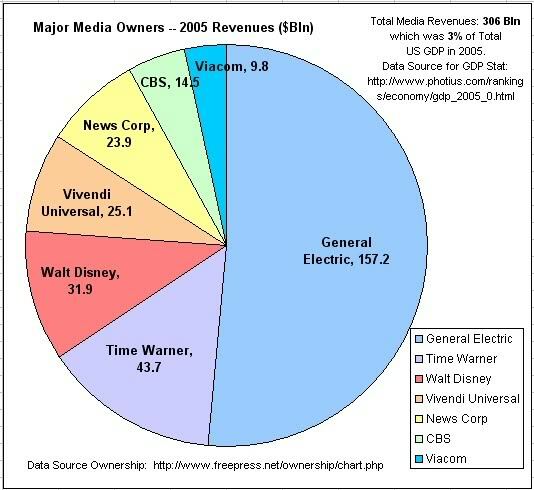 In the last 30 years, especially since the Reagan administration, the number of major corporations that control almost all of the American media market has dropped precipitously from 50 to a mere 5. The dissemination of information, therefore, has been concentrated in fewer and fewer hands, with a corresponding diminution of diversity of information and opinion. Thus, the propaganda that is now spread by these few corporations is more powerful, more difficult to challenge, and more difficult for normal citizens to detect truth from lies. See this interesting article on the website Truth-Out for more information on the centralization of informational control. Additionally, the competition between the more powerful media interests becomes more fierce and more partisan, leading to less nuance and rationality in political discussions, and more demonizing of those who have different opinions. We have seen all of these things happening in America recently. With the elections approaching in November, we will see yet more polarization of all political issues into narrow corporate interests for one side or the other. The fact that unlimited and secret money can be spent on this propaganda ensures that things will get much worse before they get better. The only solution is an educated and aware citizenry who judges issues on their merits and not on emotional propaganda. Fortunately, in America, the internet is not yet censored or controlled by the major media corporations, and is therefore the best place to gather and evaluate information in an objective and productive way. (For more information on the deeper issue of social control through propaganda, which I am not prepared to discuss at this time, see for example Noam Chomsky’s 1988 book Manufacturing Consent [excerpts here]). The captivating Wikipedia article on propaganda lists 52 specific distinct techniques for generating propaganda and manipulating the receivers of the message. Ideally, I would like to have given some specific examples of how they are each used to influence or misinform people in practice, but in the name of brevity and the maintenance of at least nominal objectivity, I will leave it up to you to use your own imagination. Hopefully, you will also be more on the lookout for such techniques in the media at large (including advertising, which is often indistinguishable from propaganda). If we recognize it and understand it rationally, it already loses much of its power and allows us to maintain more political and intellectual independence. A Latin phrase that has come to mean attacking one’s opponent, as opposed to attacking their arguments. This argument approach uses tireless repetition of an idea. An idea, especially a simple slogan, that is repeated enough times, may begin to be taken as the truth. This approach works best when media sources are limited or controlled by the propagator. Appeals to fear and seeks to build support by instilling anxieties and panic in the general population, for example, Joseph Goebbels exploited Theodore Kaufman’s Germany Must Perish! to claim that the Allies sought the extermination of the German people. Using loaded or emotive terms to attach value or moral goodness to believing the proposition. Used in biased or misleading ways. Bandwagon and “inevitable-victory” appeals attempt to persuade the target audience to join in and take the course of action that “everyone else is taking”. All vertebrates, including humans, respond to classical conditioning. That is, if object A is always present when object B is present and object B causes a negative physical reaction (e.g., disgust, pleasure) then we will when presented with object A when object B is not present, we will experience the same feelings. People desire to be consistent. Suppose a pollster finds that a certain group of people hates his candidate for senator but love actor A. They use actor A’s endorsement of their candidate to change people’s minds because people cannot tolerate inconsistency. They are forced to either dislike the actor or like the candidate. Making individuals from the opposing nation, from a different ethnic group, or those who support the opposing viewpoint appear to be subhuman (e.g., the Vietnam War-era term “gooks” for National Front for the Liberation of South Vietnam aka Viet Cong, or “VC”, soldiers), worthless, or immoral, through suggestion or false accusations.Dehumanizing is also a termed used synonymously with demonizing, the latter usually serves as an aspect of the former. An attempt to influence public perception by disseminating negative and dubious/false information designed to undermine the credibility of their beliefs. An attempt to justify an action on the grounds that doing so will make one more patriotic, or in some way benefit a country, group or idea the targeted audience supports. Glittering generalities are emotionally appealing words that are applied to a product or idea, but present no concrete argument or analysis. This technique has also been referred to as the PT Barnum effect. A half-truth is a deceptive statement, which may come in several forms and includes some element of truth. The statement might be partly true, the statement may be totally true but only part of the whole truth, or it may utilize some deceptive element, such as improper punctuation, or double meaning, especially if the intent is to deceive, evade, blame or misrepresent the truth. A euphemism is used when the propagandist attempts to increase the perceived quality, credibility, or credence of a particular ideal. A Dysphemism is used when the intent of the propagandist is to discredit, diminish the perceived quality, or hurt the perceived righteousness of the Mark. By creating a “label” or “category” or “faction” of a population, it is much easier to make an example of these larger bodies, because they can uplift or defame the Mark without actually incurring legal-defamation. Example: “Liberal” is a dysphemism intended to diminish the perceived credibility of a particular Mark. By taking a displeasing argument presented by a Mark, the propagandist can quote that person, and then attack “liberals” in an attempt to both (1) create a political battle-ax of unaccountable aggression and (2) diminish the quality of the Mark. If the propagandist uses the label on too-many perceivably credible individuals, muddying up the word can be done by broadcasting bad-examples of “liberals” into the media. Labeling can be thought of as a sub-set of Guilt by association, another logical fallacy. If a person’s message is outside the bounds of acceptance for an individual and group, most techniques will engender psychological reactance (simply hearing the argument will make the message even less acceptable). There are two techniques for increasing the bounds of acceptance. First, one can take a more even extreme position that will make more moderate positions seem more acceptable. This is similar to the Door-in-the-Face technique. Alternatively, one can moderate one’s own position to the edge of the latitude of acceptance and then over time slowly move to the position that was previously. Lying and deception can be the basis of many propaganda techniques including Ad Homimen arguments, Big-Lie, Defamation, Door-in-the-Face, Half-truth, Name-calling or any other technique that is based on dishonesty or deception. For example, many politicians have been found to frequently stretch or break the truth. Propagandists use the name-calling technique to start fears and arouse prejudices in their hearers in the intent that the bad names will cause hearers to construct a negative opinion about a group or set of beliefs or ideas that the propagandist wants hearers to denounce. The method is intended to provoke conclusions about a matter apart from impartial examinations of facts. Name-calling is thus a substitute for rational, fact-based arguments against the an idea or belief on its own merits. This technique is used to persuade a target audience to disapprove of an action or idea by suggesting that the idea is popular with groups hated, feared, or held in contempt by the target audience. Thus if a group that supports a certain policy is led to believe that undesirable, subversive, or contemptible people support the same policy, then the members of the group may decide to change their original position. This is a form of bad logic, where a is said to include X, and b is said to include X, therefore, a = b. Selectively editing quotes to change meanings—political documentaries designed to discredit an opponent or an opposing political viewpoint often make use of this technique. Assigning blame to an individual or group, thus alleviating feelings of guilt from responsible parties and/or distracting attention from the need to fix the problem for which blame is being assigned. A slogan is a brief, striking phrase that may include labeling and stereotyping. Although slogans may be enlisted to support reasoned ideas, in practice they tend to act only as emotional appeals. Opponents of the US’s invasion and occupation of Iraq use the slogan “blood for oil” to suggest that the invasion and its human losses was done to access Iraq’s oil riches. On the other hand, supporters who argue that the U.S. should continue to fight in Iraq use the slogan “cut and run” to suggest withdrawal is cowardly or weak. This technique attempts to arouse prejudices in an audience by labeling the object of the propaganda campaign as something the target audience fears, hates, loathes, or finds undesirable. For instance, reporting on a foreign country or social group may focus on the stereotypical traits that the reader expects, even though they are far from being representative of the whole country or group; such reporting often focuses on the anecdotal. 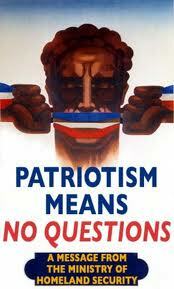 In graphic propaganda, including war posters, this might include portraying enemies with stereotyped racial features. Testimonials are quotations, in or out of context, especially cited to support or reject a given policy, action, program, or personality. The reputation or the role (expert, respected public figure, etc.) of the individual giving the statement is exploited. The testimonial places the official sanction of a respected person or authority on a propaganda message. This is done in an effort to cause the target audience to identify itself with the authority or to accept the authority’s opinions and beliefs as its own. Works on the principle that people are more willing to accept an argument from a seemingly independent source of information than from someone with a stake in the outcome. It is a marketing strategy commonly employed by Public Relations (PR) firms, that involves placing a premeditated message in the “mouth of the media.” Third-party technique can take many forms, ranging from the hiring of journalists to report the organization in a favorable light, to using scientists within the organization to present their perhaps prejudicial findings to the public. Frequently astroturf groups or front groups are used to deliver the message. A commonly used phrase, sometimes passing as folk wisdom, used to quell cognitive dissonance. Also known as association, this is a technique that involves projecting the positive or negative qualities of one person, entity, object, or value onto another to make the second more acceptable or to discredit it. It evokes an emotional response, which stimulates the target to identify with recognized authorities. Often highly visual, this technique often utilizes symbols (e.g. swastikas) superimposed over other visual images (e.g. logos). These symbols may be used in place of words. These are words in the value system of the target audience that produce a positive image when attached to a person or issue. Peace, happiness, security, wise leadership, freedom, “The Truth”, etc. are virtue words. Many see religiosity as a virtue, making associations to this quality effectively beneficial. Their use is considered of the Transfer propaganda technique.